Candyman: Farewell to the Flesh, directed by Bill Condon, is the sequel to the original Candyman film, directed by Bernard Rose. The original told the story of a vengeful spirit who was murdered in life, only to return with a hook hand when summoned by saying his name five times in a mirror. Upon summoning him, he would then proceed to murder his victim using his hook hand, a hand which he lost in life. The sequel continues that story while revealing more about the Candyman’s past and his ties to a wealthy southern family. 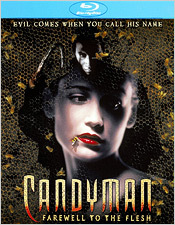 Candyman was based upon a story by Clive Barker entitled “The Forbidden,” expanded and added to by director Bernard Rose for the first movie. Farewell to the Flesh continues the story in much of the same way, but is much further from the original story. Compared to the first film, the second is obviously less superior, but also because it’s a movie that’s a bit of a slog to get through. Instead of a college student getting wrapped up in the Candyman legend, we now have a southern family, the daughter of which is out to find the truth about the Candyman and prove her brother’s innocence when he is accused of committing the murders that the Candyman has been committing. Unfortunately, the movie just doesn’t have that interesting of a story to tell. The problem I have with backstories is that they tend to ruin a lot of the mystique of the character at hand. While we know the backstory of the Candyman already, I don’t think dragging it out in finer detail was necessarily a good idea. It makes him less interesting and doesn’t really add anything substantially new to the story. And we’ve already seen the journey of a young, blonde female character trying to discover the truth behind the legend. Repeating that in the sequel just isn’t appealing to me. 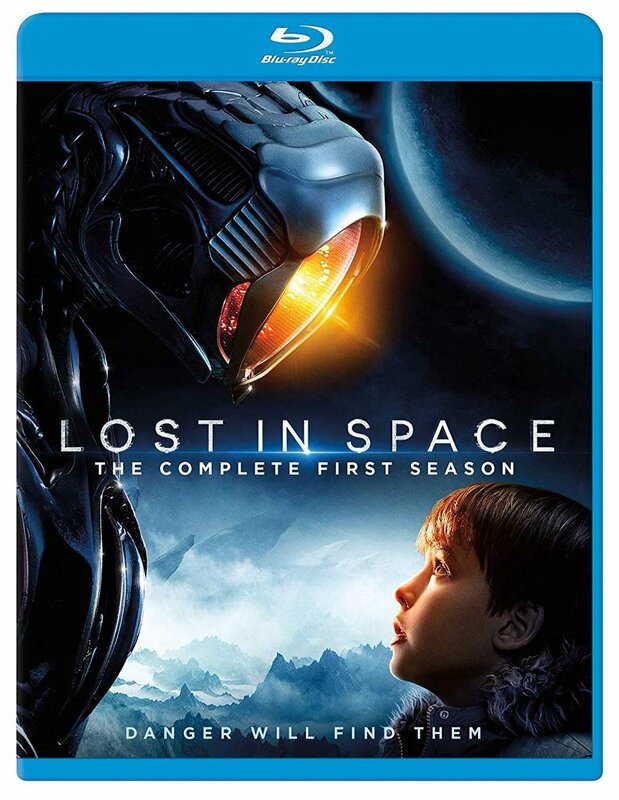 Tony Todd, Kelly Rowan, Veronica Cartwright, Bill Nunn, and Timothy Carhart are all fine actors, but they can’t really save a story that’s nothing more than exploration, or rather, re-exploration. And it doesn’t help that the movie seems a little trashy and less highbrow, including some cheap jump scares. The main things that save the film are its score, which was conducted by Phillip Glass (who also scored the first film), and the cinematography by Tobias Schliessler. There are some gory moments to be had for gorehounds, as well as some terrible early CGI (somewhat of a staple for Clive Barker-related material during that time frame), but overall, it’s less satisfying than the first film, to say the least. Personally, I think it’s an attempt at a franchise that doesn’t really warrant more than one film. Be that as it may, Candyman: Farewell to the Flesh isn’t a terrible movie, but it’s not an overly interesting one, except for die-hard fans of the Candyman character himself or just Clive Barker addicts in general. For Scream Factory’s debut of the movie on Blu-ray, you get a very commendable presentation. While the film carries over a very soft look to it, the grain structure is solid throughout with some very nice detail on display. Color reproduction is good, with reds and golds being especially strong, with skin tones looking quite accurate as well. There’s some nice deep blacks with a bit of occasional crush here or there, but some fine shadow detail and acceptable contrast and brightness levels. As for leftover film damage, it’s extremely minimal, which includes sporadic white specks and minor density moments that were very rare. There are also no signs of digital tweaking or unnecessary clean-up on display either. For the soundtrack, you have two options: English 5.1 and 2.0 DTS-HD. Both tracks are effective, but the 5.1 track really gives the soundscape more room to breathe. And while aspects of the movie’s sound is part of the reason why I don’t like the movie all that much, the LFE moments do have some life to them with the jump scares. Otherwise, dialogue is clean and clear, and the other sound effects have some nice weight to them. There isn’t a ton of speaker to speaker activity, but it’s there in short bursts. There are also subtitles in English for those who might need them. For the supplemental section, you get a nice array, which includes an audio commentary with director Bill Condon; The Candyman Legacy, an interview with Tony Todd; Down Memory Lane, an interview with Veronica Cartwright; the film’s original theatrical trailer; and a set of previews for other Scream Factory titles. I would have liked to have heard from Clive Barker personally about his feelings towards the movie, as well as the other movies in the franchise, but oh well. Overall, Candyman: Farewell to the Flesh has some nice things going on visually, but the story doesn’t stack up to its predecessor. It’s definitely a step down, but not quite as big of a step down as the third film Candyman 3: Day of the Dead. 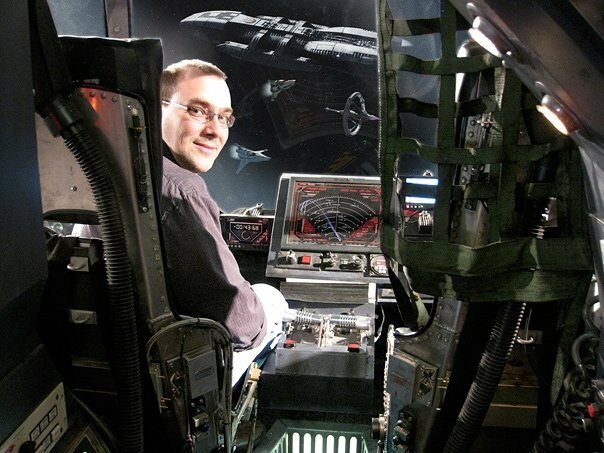 Again, I think it’s a franchise that never really should have been continued past one film, but that’s one man’s opinion. As for Scream Factory’s treatment of Candyman: Farewell to the Flesh goes, it’s an excellent upgrade if you’re a fan of the film.